The original LP release (1969) contained the band's most successful singles fro their early days. Another five unreleased tracks make this another fine release in Sony Music's recent retrospective - * zuvor unveröffentlicht / previously unreleased. Wembley, northern London, late May of Eighty Eight. England plays Scotland for UK football bragging rights on Saturday and huge colored banners wave smartly in the wind atop the parapets of the stadium. Tango In The Night is the number one record in England for the second time, and Fleetwood Mac has sold out ten nights at Wembley Arena, eight years after last playing in its native land. a "Thirty minutes" calls Wayne Cody, continuing his traditional countdown to showtime. An hour earlier Fleetwood Mac (Mark XI) had convened onstage for the day's soundcheck and a brief rehearsal. For twenty minutes the gnat band burns away to the giant empty hall, stopping to re-weave the three voice harmony to their current British hit single: "Tell me lies, tell me sweet little hes.. ." a Now the band and its corps of rock soldiers are pacing and chatting and waiting out the anxious minutes right before a show. And there's cause for some nervousness. A royal prince has tickets tonight and has been invited back-stage after the show. And there an the fans, some of whom have been paying to see Fleetwood Mac for more than twenty years. The backstage consensus is that tonight would not be a good night for a less-than-magic show. 4 Twenty minutes! a John McVie sits in the dressing room, smoking, relaxed, tight but loose. He Says that when he was asked to join Fleetwood Mac during the summer of 196Z he declined and took a kif holiday in Morocco instead. Mick Fleetwood, six feet six inches of King Lear intensity, studies his costume and makeup in the mirror-, issues many vague orders and gnat oaths, and says something about the wild days of the young Mac in the sixties. Christine Perfect McVie" slips into the men's dressing room with a knowing smile. Slender, beautiful and elegant, she banters with the boys, her regal but unassuming demeanor instantly grabbing the moment. a Stevie Nicks is in the dressing room she shares with Christine; she is not to be seen, preferring to prepare for Fleetwood Mac's return in seclusion, like a bride. a Ten Minutes... a Back in the boy's room Billy Burnette is trying on a black silk shirt from a shop in Bond Street. Three hundred and fifty quid for a shirt, but Billy's band has sold out 10 nights at Wembley so it's OK. With a laugh and a flash of black eyes, Mr Burnette, a real gentleman, accepts the B12 shot offered by the comical English tour doc. New guitarist Rick Vito sits next to Mick at the mirror As a teenager in Philadelphia he paid to see the original Mac in 1968 when they were just becoming known in the States. Playing hen in London Rick Vito has a strange feeling, as though he were stepping into some pretty heavy shoes indeed. a Five minutes! a Last second bustle. Over in the corner the brilliant Ghanaian drummer Isaac Asante adjusts his horned cowrie-shell helmet. Mick has finished his toilette and is high-stepping in place and howling. Band managers John Courage, Dennis Dunstan and Tony Dimitnades issue final instructions to the crew and hall personnel. The dressing rooms feel electric, supercharged. And one almost senses the ghosts in the band, those not present, but there all the same in spirit.- the magisterial young blues god Peter Green; Jeremy Spencer child of God; Danny Kirwan, whose playing was like blue water under Peter's red fire; Bob Welch, the California mystic-Um; and Lindsey Buckingham, Fleetwood Mac's protean guitarist and singer for more than a decade. a Two minutes, and Fleetwood Mac files breathlessly into the shadows behind the big raised stage. Ziggy Mac-by fades off the PA... house lights dim as crew climb rope ladders like spider monkeys. .. thousands of voices roar for the music as Rick plays a chord and Mick starts the rhythm and suddenly it's Fleetwood Mac in full throttle at top volume. "Cause when the loving starts, and the lights go down, and there's not another living soul around...and you say that you love me!' Chris is singing the lead, and Stevie chants amidst a wonderful stagelit luminescence about her noble, golden head. Ten rows back are her true fans, clad in top bats and chiffon scarves; they remember the days when Rhiannon the Welsh rnare-goddess alighted onstage like a dark-winged apparition during Fleetwood Mac shows past a For two hours, Fleetwood Mac holds its audience in thrall. Billy sings Lindsey's pans in "The Chain," and it's real. Stevie sings "Dreams" awl gets an ovation. "Isn't it midnight, on the other side of the world?" Mick and Stevie rock "Sara," drowning in the sea of love. Billy Burnett( does Peter Green's "Oh Well" and gets a big cheer Same for Stevie's "Seven Wonders!' Rick Vito pays his tribute to the early Mac with "Stop Messing Around" awl "I Loved Anofher Woman!' In quick succession: "Over My Head" with its bell-clear harmonies, "Gold Dust Woman," "Don't Let Me Down," and the lovely "Has Anyone Ever Written" which ends with Stevie's recitative that holds the crowd silent, spellbound. This mood is sustained as Chris sings the glorious "Brown Eyes;' her blue alto lightly dipped in melancholy. But Mick changes everything as he and Asante put on a solo drum show during "World Turning." Playing touch-sensitive drum pads concealed in a vest, Mick grimaces and cavorts sending out jagged shards of sampled sounds. "Oh God," the vest screams when Mick thumps his chest. "Help Me!" He taps his tummy and you hear a car crash. It's a weird and wondrous techno-dance, rendered even stranger by the masked Asante's hand-drum mojo. 4 Now the set builds to climax. "Little Lies" is right and tight. "Stand Back" is awesome. "You Meko Loving Fun" is astral travel bark to the spirit of Seventy Six. "Co Your Osce Way" ends the show with a powerful rock son et lumiere. The encores: "Blue Letter," "Don't Stop," and, at the end Christine by herself at the piano, singing "Songbird" under a pencil spot, holding Fleetwood Mac's delirious crowd as if she were alone in some smokey dive, after hours. a As she finishes, the audience lets loose. De/irium. John McVie introduces the band. Stevie and Chris receive standing ovations and many bouquets. Mick singles out the newest Macs, Burnet, and Vito, for special praise. As the house lights come on, the somber tones of `Albatross" on the PA elicits a final cheer, Fleetwood Mac's perennial English top ten hit. * Back in the dressing rooms, there's hot food and cold lager beer. The young-prince is escorted to a reception room with his minders, his leather-jacketed girlfriend and his posh friends, to be introduced to the band. Mick makes sure Asante, a loyal citizen of the British Commonwealth, shakes hands with the prince. Handsome, balding slightly in the back like his brothers and father, the prince is cordial and co.rnplimentary„ and the whole company is flattered that he Carrie. As alWayS, Mick Fleetwood is the last musician to have the ball. As his Daimler limousine cuts through the wet nighttime streets of springtime London, Mick asks the driver to detour, and he rides through the Notting Hill Gate area where he first came to live as a fifteen-year-old Home Counties bad in 1963, smitten with the Beatles and ready to rock. a And rock he did. a The next night, after another successful -show, Warner Bros. Records gives a party in Mac's9bonor at the Kensington Roof Gardens. The entertainment is an ace London boogie band and the members of Fleetwood Mac dance with each other until dawn. On coy way home, I remember what an old friend of the band, Judy Wong, bad told me a few months earlier "There's a depth to this group," Judy said, "a 4n-like pure flame of truth and a sense of destiny. People were meant to be in the band. No one ever auditioned, musicians were hired on intuition and instinct. 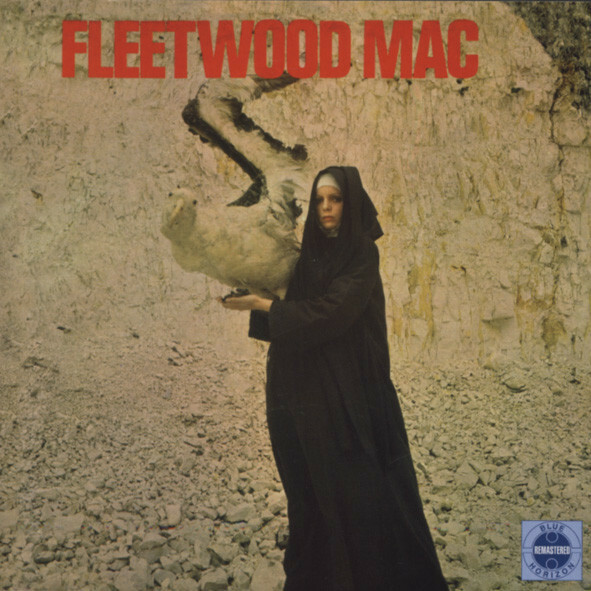 Most of all, nothing ordinary ever happened to Fleetwood Mac." a Those words still hold true, probably will for many years to come. It's too late to stop now. Customer evaluation for "Pious Bird Of Good Omen"